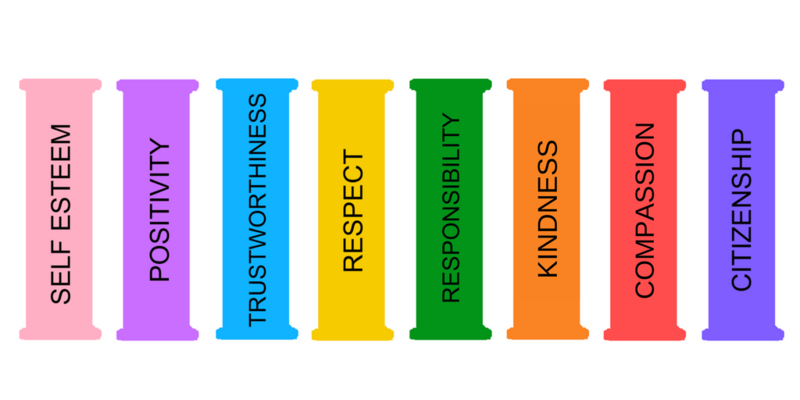 The 8 Pillars of Character provide the essential support needed for one’s character development. Character refers to a set of moral and mental qualities and beliefs, that makes a person different from others. There were originally Six Pillars and they were for Character Education, which were identified by a non-partisan, non-sectarian (secular) group of youth development experts in 1992, as “core ethical values”. They transcend cultural, religious and socioeconomic differences. Self Esteem and Positivity were added by Marlene because of her belief that once established, these Two Pillars are the foundation of all the others! It is important to remember that throughout our lives the underlying values of these Pillars are tested over and over providing a lifetime of learning. Here is the JAM Squad take on a few of our Pillars! Ali and Chloe both demonstrated citizenship on March 24th when they attended the #MarchForOurLives to take a stand for #GunControl. Autumn is a longtime JAMMER, a Wilhelmina Kids & Teens model and a junior at Stanford University. Her calming activity suggestions are elements that help support one’s Self Esteem. She is Captain of the JAM Squad. Ashley is age 17 and lives on Long Island, New York. She is an Influencer and works with a number of leading brands. Her citizenship is demonstrated by recycling damaged powder eyeshadow makeup instead of throwing it away. She is a JAM Squad member. Ali is an Influencer at her Middle School and is a fashionista, since having attended Fashion Week from the age of 2. Her sensitivity to being on-time is a clear demonstration her responsibility to others. She is a JAM Squad member.